← Pursuing and Serving Justice Fairly: Is Mladic Fit to Stand Trial? The ICC's President, left, and the Emir of Qatar opened the Court's first regional conference, in Doha, Qatar. To date, the most fascinating, dynamic and at times frustratingly contradictory relationship the ICC has had has been with the African Union (AU) and its member states. Today, however, the relationship which appears set to define the Court’s second decade may be with the member states of the Arab League. The renewed engagement of Arab states with issues of international criminal justice has been propelled by the Arab Spring. The current level of engagement by Arab League states with the ICC is unprecedented. In the early days of the Arab Spring, issues of justice and accountability were front and center. Within days of pushing President Zine el-Abidine Ben Ali out of power, an arrest warrant was issued for him, and Tunisia declared that it would ratify the Rome Statute of the ICC. Egypt has also expressed its desire to sign and ratify the Statute and has taken steps towards putting ousted leader Hosni Mubarak on trial. 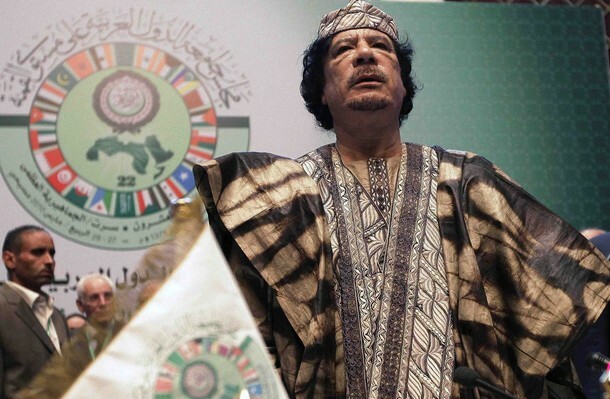 Libya, of course, was referred to the ICC in late February and earlier this month, the ICC’s Prosecutor requested arrest warrants for Colonel Gaddafi, his son Saif al-Islam and Libya’s head of intelligence services. 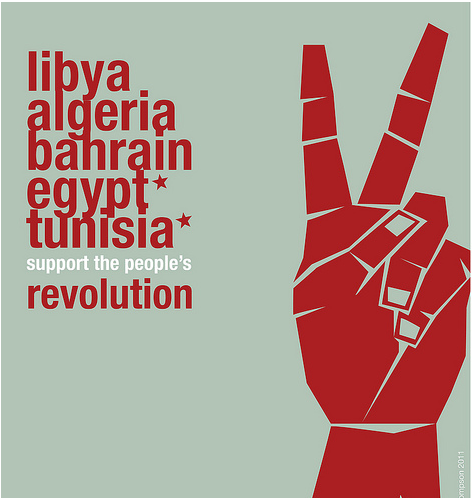 Arab League support has been essential to the current intervention taking place in Libya. In Syria, Bahrain and Yemen, where Arab League support for intervention is lacking, there are still calls for the ICC to get involved. The Arab world’s drive for justice and accountability has thus far not been a passing fad; it has not diminished but only seems to be increasingly salient and widespread. Rarely does a day go by that news out of the Arab world does not relate to international criminal justice. In this context, let’s take a look at some of the more remarkable recent developments regarding the ICC and the Arab League states. 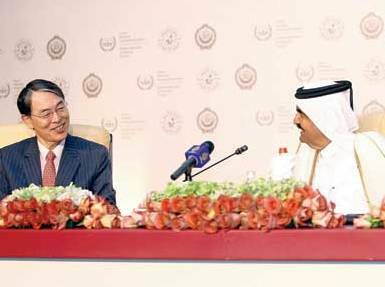 The Doha Conference: What a difference a few months make! Apparently unbeknownst to Western journalists, this past week the ICC held its first regional conference. It was held in Doha, Qatar from May 24-25. Just how remarkable was this conference? 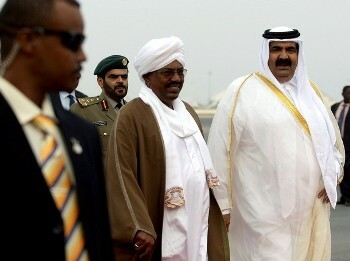 Consider that only two years ago, Sudanese President, Omar al-Bashir, indicted by the ICC for his role in the Darfur crisis, attended Arab League meetings in Doha which resulted in the regional body declaring its “solidarity with Sudan and…rejection of the ICC decision” to issue an arrest warrant for Bashir. Further, as Wasil Ali, the Deputy Editor in Chief at the Sudan Tribune notes, the conference was originally planned for last year. Pressure from Khartoum ensured that it was postponed. This year, however, seemingly no support for Bashir was voiced by delegates at the conference. Instead, a steady stream of support for the principles of international criminal justice defined many moments during the proceedings in Doha. At the conference, the Emir and the ICC’s Chief Prosecutor, Luis Moreno-Ocampo were scheduled to meet for about 20 minutes. In what will surely frustrate the Court’s political critics, their meeting ended up taking over an hour. Qatar’s Attorney General subsequently hosted a lunch for the Attorney Generals as well as for Moreno-Ocampo. Meanwhile, capitalizing on the spreading desire among Arab citizens to achieve justice and accountability, the ICC has smartly instigated a grassroots approach to greater Arab participation in its work. The ICC has launched a campaign, named “Calling Arab Lawyers”, to increase the number of Arab professionals able to practice before the Court. The ICC reasons, quite soundly, that its increased case load in the Arab world (both Libya and Sudan are Arab League states) suggests that the Court should promote greater Arab representation amongst lawyers capable of working at the ICC. Currently, Arab lawyers make up less than 4 percent of the ICC’s list of eligible counsel and assistant counsel. Of course, the conference was not all rosy. At times it seemed that expediently supportive rhetoric dominated over meaningful action. Further, a number of key issues which many Arab leaders see as barriers to accession to the Rome Statute as well as contradictions in the pursuit of international justice were raised. The Emir’s perspective illustrates a sophisticated understanding of the need for justice to be impartial and divorced from political considerations. As I have previously argued, the relationship between the UN Security Council and the ICC poses a paradox: On the one hand, a closer relationship between the power-politics of the UN Security Council and the ICC diminishes the quality and legitimacy of justice; on the other hand, without cooperation between the UN Security Council and the ICC, or in other words, without pursuing justice through power-politics, some of the worst international crimes would never be tried. In the end, the conference may have been more about establishing a forum for dialogue and understanding than achieving any tangible goals. But that the conference was held at all demonstrates a dramatic and impressive shift in the attitudes of the Arab world towards international criminal justice generally, and the International Criminal Court, in particular. In the meantime, there have been important developments relating to the ICC in individual Arab states. According to Qatar’s News Agency, the country’s Minister of Justice, Hassan bin Abdullah Al-Ghanim, maintained that many Arab countries, including Qatar, are considering signing and ratifying the Rome Statute. During the Doha conference, the Attorney General of Qatar similarly suggested that the country was leaning towards ratifying the Rome Statute. Interestingly, Al-Ghanim was also reported saying that the issue of acceding to the treaty is always going to be a key item on the agenda of Arab League meetings for Arab Ministers of Justice. ICC Prosecutor Luis Moreno-Ocampo met with the Emir of Qatar for over an hour. They were scheduled to talk for twenty minutes. Tunisia is apparently very close to ratifying the Rome Statute. One report suggested that Tunisia will deposit its formal request of accession to the ICC at the UN in the next few days. Ali argues that this is of critical importance for the crisis in Libya because Tunisia “is the main outlet for Libyan officials.” If Tunisia follows through, it will be the first north African state to ratify the Statute. The transitional government in Egypt has put itself in a precarious position. On the same day as Foreign Minister Nabil El-Arabi declared Egypt’s intention to join the ICC, another Egyptian diplomat clarified that it would not affect Egypt’s support of Bashir and that the Sudanese President could visit at any time without fear of detainment. How Egypt expects to have its cake and eat it too remains unclear. Nevertheless, Egypt appears unflinching in its mission to sign and ratify the Rome Statute. This week the foreign minister reaffirmed that the country was working towards joining the ICC. There’s no doubt that the diplomatic niceties and the increasingly real possibility of key Arab League states joining the ICC has made the government in Khartoum nervous and uncomfortable. Bashir has spent a tremendous amount of time and resources on attempting to isolate the Court and to demonstrate that it is powerless. All of the above developments among Arab states undermine his capacity to achieve either. Omar al-Bashir at an Arab League summit. The Sudanese government is livid over Egypt's plan to join the ICC. Pouring salt on the wounds, as it were, Bashir appears more isolated now than in previous months. While the Sudanese President managed to visit Djibouti, a member-state of the Court, he was unable to visit Nigeria, Comoros or Uganda. Furthermore, the Sudanese government was apparently seething over the Egyptian Foreign Minister’s meeting with ICC Prosecutor Moreno-Ocampo. It is important to remember that, like the African Union, Arab League states may not be as united in their support for Bashir as they put on publicly. A high-ranking official at the ICC once told me that in meetings between African leaders and Court officials, many said that they thought Bashir should face justice but they would not be able to say so in public. The very same could be true for Arab League states. A New Chapter or Smoke and Mirrors? Talk is one thing but in order to be increasingly representative and universal, the ICC needs states to ratify the Rome Statute and to abide by its obligations. It is important to remain realistic. It is uncertain to what extent the movements of key Arab state governments towards becoming members of the ICC will result in greater Arab presence in the Court. It seems likely that states joining the ICC will continue to so on an ad hoc basis. It would be wishful thinking to believe that the Arab League would jump into the arms of the Court all at once. Nevertheless, it is quite possible that in the coming months ratifications by Tunisia, Egypt, and Qatar will double the Arab world’s representation at the ICC – and that’s nothing to scoff at. The Court and its supporters no doubt hope that this will result in the floodgates opening and other states joining subsequently. For those who doubt that Arab states can be effective members of the ICC, it is worth remembering that, despite only having three current Arab states (Comoros, Djibouti and Jordan) as members of the ICC, the Arab world has at times engaged deeply with the Court. For example, as Steven Roach has written, Arab states played a “largely positive (albeit controversial)” role in the creation of the ICC. There is no doubt that Arab states can become key participants in the development and practice of international criminal law. Only time will tell whether recent developments mark a new chapter in the relationship between the Arab world and the International Criminal Court or whether it is all – or mostly – smoke and mirrors. One thing, nevertheless, is abundantly clear: never has the engagement of Arab states with the ICC been more promising, the prospects of their membership in the Court more real, and the thirst of their people for ending impunity more widespread than it is today. This entry was posted in African Union (AU), Arab League, Egypt, Human Rights, ICC Prosecutor, International Criminal Court (ICC), Justice, Libya, Libya and the ICC, Middle East, Qatar, Sudan, Syria, Tunisia, Uganda, UN Security Council. Bookmark the permalink. 1 Response to The Arab World and the ICC: A New Chapter or Smoke and Mirrors?